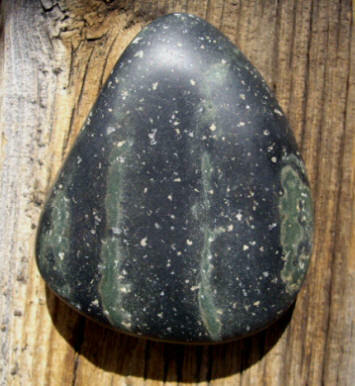 The Starburst Nebula Palm Stones, according to Virgil Lueth, Mineralogist, are believed to have many of the same minerals as their next of kin... the Nebula Stone. They somehow crystallized differently. So with this thought we often refer to Starburst Nebula Stones as being a first cousin of Nebula Stone. We have not had the Starburst Nebula analyzed because we have so few of them. These are the larger Starburst Stones we find individually. They're predominately larger and rounded in shape and are naturally river tumbled by Mother Nature. 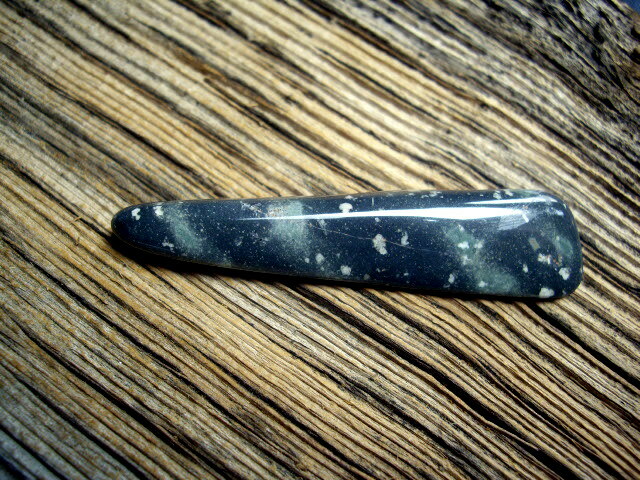 The Starburst Nebula Palm Stones are fined grained and are unusually smooth, feeling gentle and soothing to the touch. Their touch and feel are of an appealing, comforting and soothing nature. 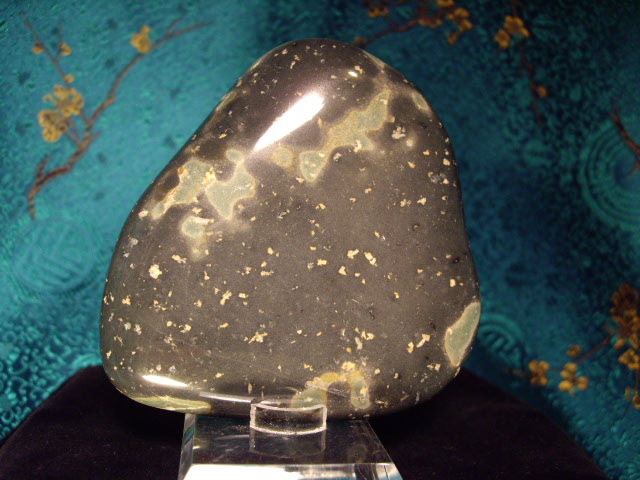 The matrix is rich with a sprinkling of Quartz and like Nebula Stone each Starburst Nebula has it own unique pattern. Each with clouds of varying shades of green which appear as the Milky Ways and Stars in the cosmos. 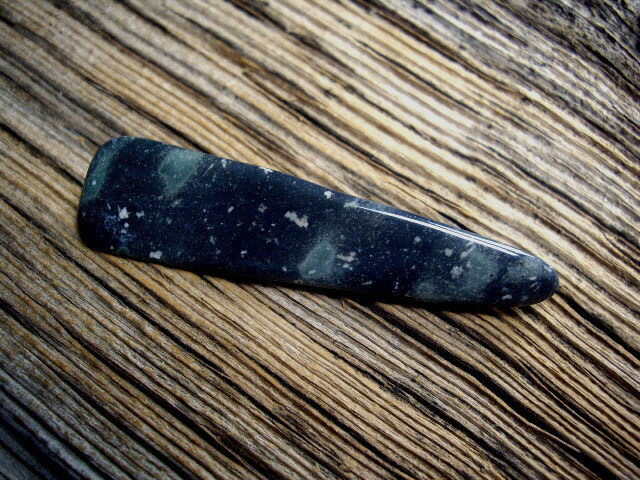 These are available polished and natural (unpolished). 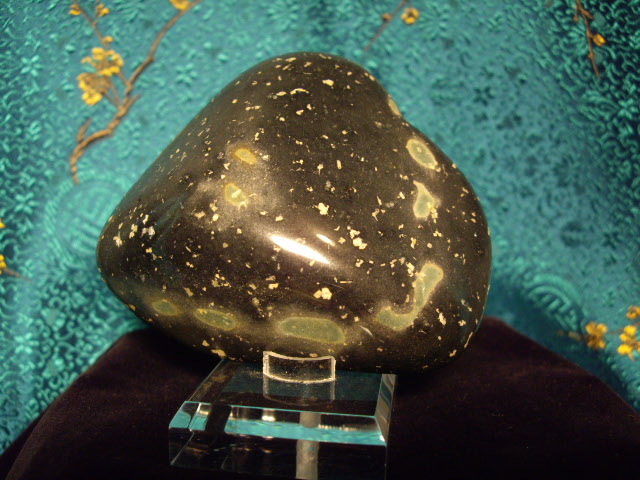 Starburst Nebula Palm Stones are Not cut and Not mass produced in factories. Our Polished Nebula Starburst Palm Stones are lightly tumbled, so as not to change their natural river tumbled shape, and then polished. 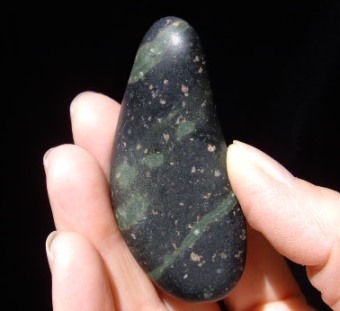 The light tumbling and polishing may not remove the normal lines, cleaves and inherent inclusions from a natural stone which are an intrinsic part of the stones evolution. Starburst Nebula Palm Stones are shaped naturally by Nature. Our Natural Unpolished Nebula Starburst Palm Stones are river tumbled, being shaped naturally by Nature. 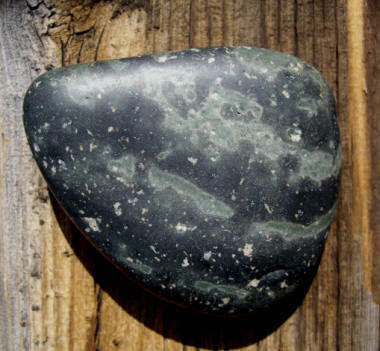 These Unpolished Nebula Starburst Palmstones are... just as we found them in the hidden valley... in their natural pure state. 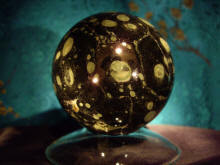 This is the first time we have made available the individual Starburst Nebula Palmstones online. !! These are the very last of our polished Starburst Nebulas, the polishing company has gone out of business!! Starburst Nebula Stone Loves Natural Light. 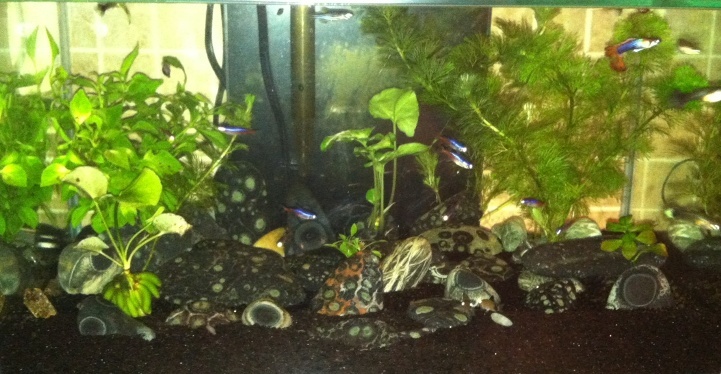 a patch of 4 leaf clovers." Gift Yourself and your Friends a Timeless Treasure. One-of-a -Kind Wire Wrapped Pendant. 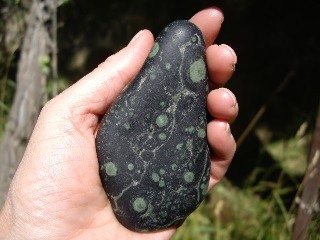 for your personal Massage Stone... it has the perfect touch. 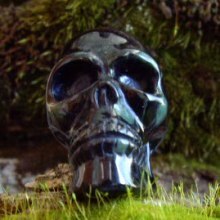 My stone arrived today, and I took the journey to the HiddenValley. 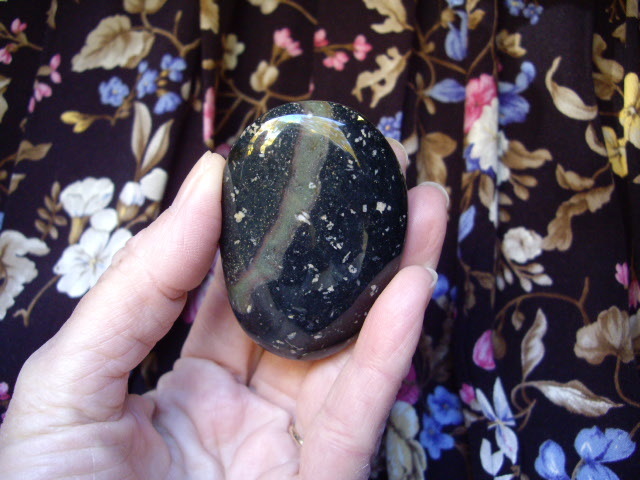 with me and for letting me purchase this exquisite stone. 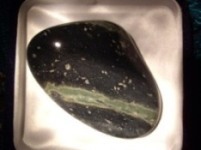 Extra Large with a cosmically beautiful markings on both sides of the stone. This Starburst Nebula has remarkably unusual Nebulae markings much like the heavenly bodies in alignment in the cosmos. 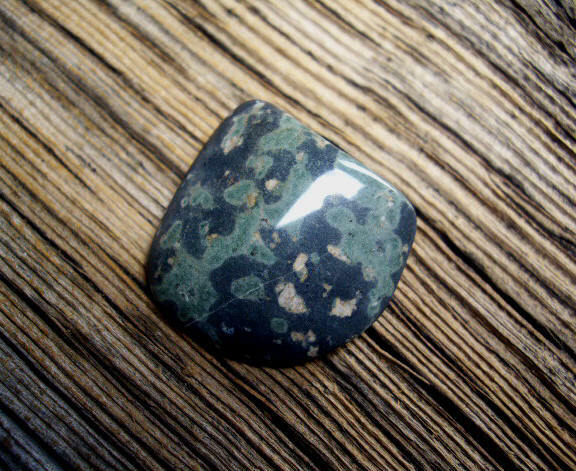 It is an exceptional stone both in shape and contour. 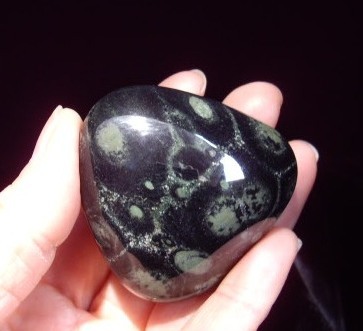 The photo above shows the flat under side and it's magical Nebulae pattern making it the perfect stone for massage and for a true crystallizing meditation experience or just to sit and relax with while letting your imagination wander. we have ever had in all our years of searching. 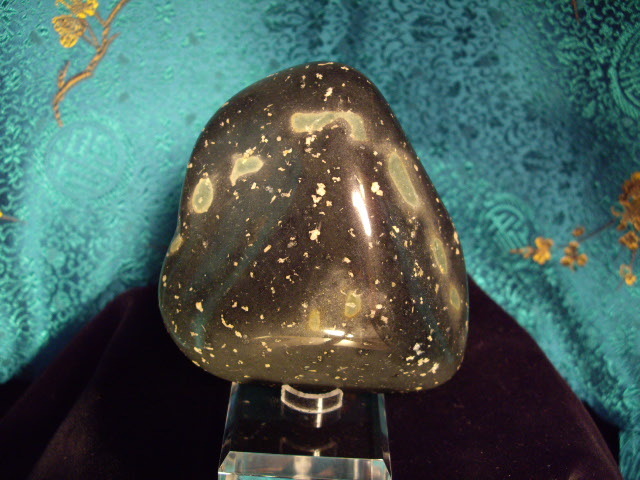 This large Starburst Nebula Stone above is very smoothly contoured showing the brilliance of it's high polish. Natural Unpolished Starburst Nebula Palm Stones are just as we found them with Nebula Stone in the hidden valley ... in their natural pure state. Photos were taken in the sunlight. 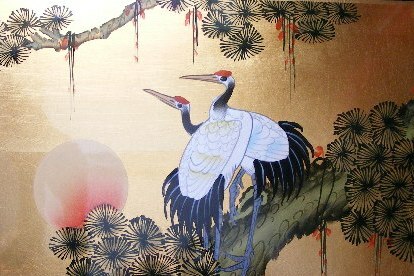 is one of the most unique in coloration of all. on both sides of the stone. And it is silky smooth to the touch. This Starburst is one of our very finest Starburst Specimens. Gift Yourself a Timeless Treasure. 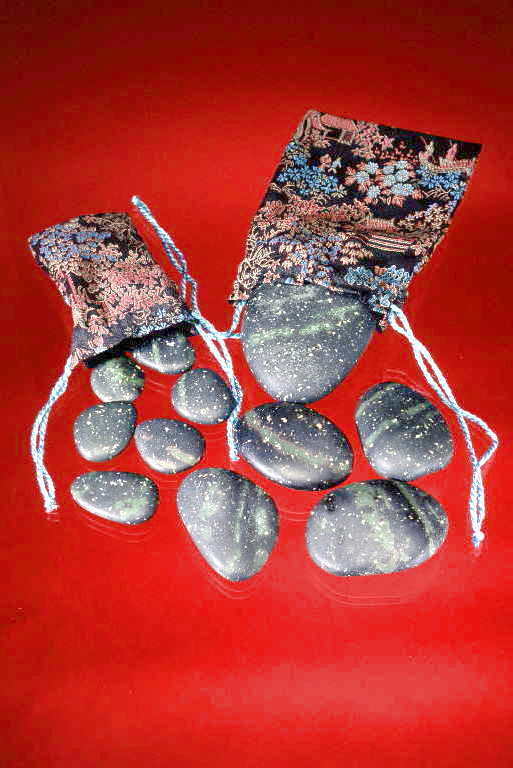 * And we also have our Nebula Stone Nuggets Tumbled medicine Stones which are the smallest Nebula Stones for pocket and Medicine Pouches. Hold your Nebula Stone in your hand... and let it take you with us on the journey to the Hidden Valley. To place an order, please go to our Email page or Call us.